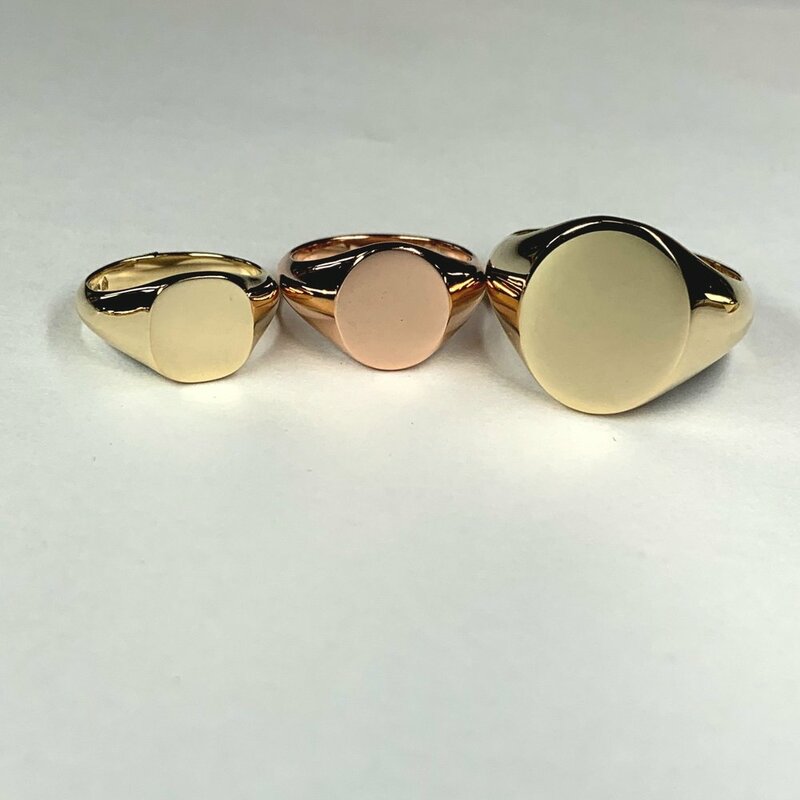 We can manufacture in Chichester, all shapes and sizes of signet rings so you will be able to have the perfect ring that suits you. As we are experts in the jewellery cad field we are able to quickly and efficiently cast the shape, head dimensions and depth, shank thickness, taper of the shoulders and width of the band (and everything in between!). If you have an old family ring that is past its best but hugely sentimental, we are able to copy the shape and style but use your gold and any extra gold you have to make a new ring. If you have seen an antique style online, we can copy the features you love in a new ring and add extra shank weight and head thickness to make the new copy as durable as possible. A crest created as a 3d file which has been used in the positive and cast as a silver pendant and ring. Traditional oval signet ring seal engraved by hand with a family crest. 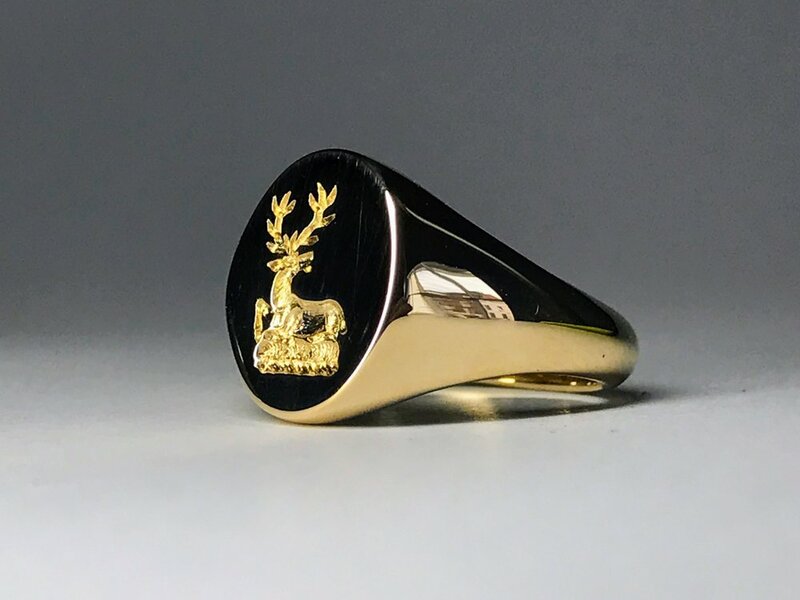 If you have a family crest, motto, or full coat of arms, that you wish to have seal engraved onto your signet ring we have a highly trusted seal engraver, based in Yorkshire, who we outsource this work to as it is a craft we are unable to carry out in house. This is the traditional method for engraving your signet ring with a family seal. 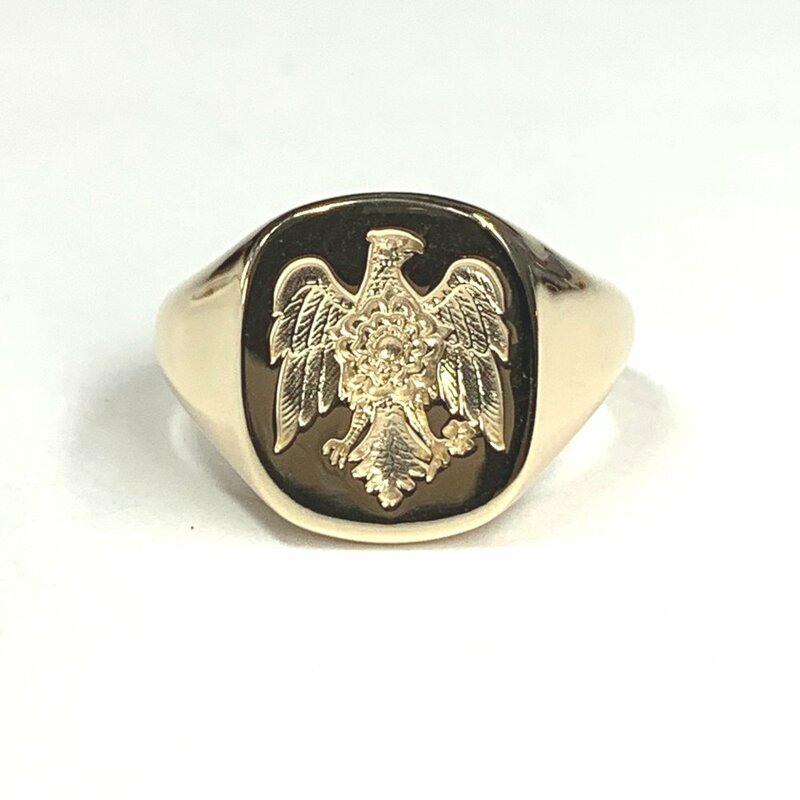 9ct yellow gold oblong cushion shaped signet ring with seal engraved family crest. Square cushion in 9ct yellow gold, medium sized oval in 9ct rose and large signet in 9ct yellow gold. Another option for signet ring engraving is hand engraving. This is traditionally used for initials or monograms and is hand carved into the head of the signet ring. A craft that, although unable to offer on site, we outsource to our trusted hand engraver based in Norfolk. A final engraving option is one that we are able to offer in house. With a newly commissioned signet ring our talented CAD designers are able to build your design into the computer aided design of your signet ring so that when the ring is cast, your design is too .